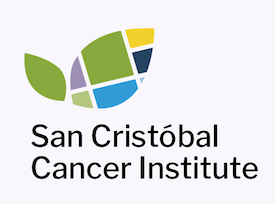 San Cristóbal Cancer Institute is committed to delivering top-notch cancer treatment with excellence, kindness and respect. Our doctors and medical staff interact every day with patients and industry partners to ensure that patients and their families benefit from a wide array of the most up-to-date standard and experimental treatment options. We are local leaders in Radiotherapy, as our radiology specialists have honed their expertise for over 3 decades. Radiation therapy works by damaging the DNA in the cancer cell, thereby disabling the cancer cells from reproducing and growing. The cancer cells then die and the cancer shrinks. The objective of radiation therapy is to kill enough cancer cells to maximize the probability of cure and minimize the side effects. Under some circumstances, radiation therapy may also be used as palliative care, which is aimed at reducing symptoms but not curing the underlying disease. Also called Internal Radiation, Brachytherapy is one of our sophisticated types of radiation therapies used to treat cancer. The technique allows doctors to deliver higher doses of radiation to more-specific areas of the body, compared with the conventional form of radiation therapy (external beam radiation) that projects radiation from a machine outside of your body. One of the most notable advantages is that Brachytherapy may cause fewer side effects than does external beam radiation, and the overall treatment time is usually shorter with brachytherapy. Radiosurgery is an effective treatment for many different types of cancer. It uses sophisticated technology to deliver very precise and accurate beams of radiation to a tumor while minimizing exposure to nearby healthy tissue. There are two main types of radiosurgery—stereotactic radiosurgery (called SRS), which is for cancers in the brain and spinal region, and stereotactic body radiotherapy (also called SBRT), for cancers in other parts of the body. Both of these treatments are noninvasive—that is, the body isn’t operated on in the traditional sense. Women who have surgery as part of their breast cancer treatment may choose breast reconstruction surgery to rebuild the shape and look of the breast. There are different types of breast reconstruction. Learn about all your options and what to expect before and after your surgery. Some procedures are done (or started) at the same time as mastectomy, while others are done later. Consult with the Surgery experts at Grupo San Cristóbal to learn more about your options. Good nutrition is crucial at all stages, helping patients feel better before, during and after your cancer treatment. Our expert nutritionists can offer tips and recipes to help you through your treatment. Did you know that some cancer treatments might affect a patient’s ability to eat? Our Nutrition team can teach patients and their families how to manage those side effects, gain weight, or reach any dietary goal while promoting holistic wellness. Complementary therapies proven effective in supporting patients when paired with traditional methods have been incorporated into the comprehensive treatment programs at San Cristóbal Cancer Institute. Our evidence-based Integrative Medicine program, provides cancer patients access to complementary therapies to help them through their conventional treatments. We offer psychology services to patients, families, and caregivers. These services help to cope with the emotions that come with a cancer diagnosis and treatment. Counseling sessions include individual, couples and family counseling, as well as support groups. At San Cristóbal Cancer Institute, your spiritual health is paramount. That’s why we take care of our patients and their families through Pastoral Care and thorough emotional and spiritual support, to restore and maintain each patient’s faith during a time of uncertainty and overwhelming changes.